Information Network of Arkansas set out to update their offices. They wanted to add some interior design elements that were not only welcoming and warm, they also wanted to showcase their creativity. And, they wanted to add visuals that would not only highlight this creativity, but hopefully, inspire more. 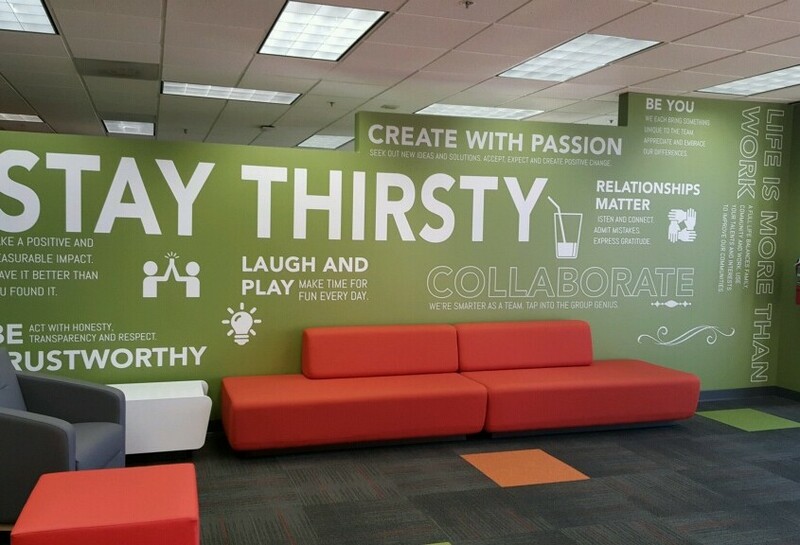 CustomXM assisted in adding complete wall graphics and mounted acrylic images for this project. 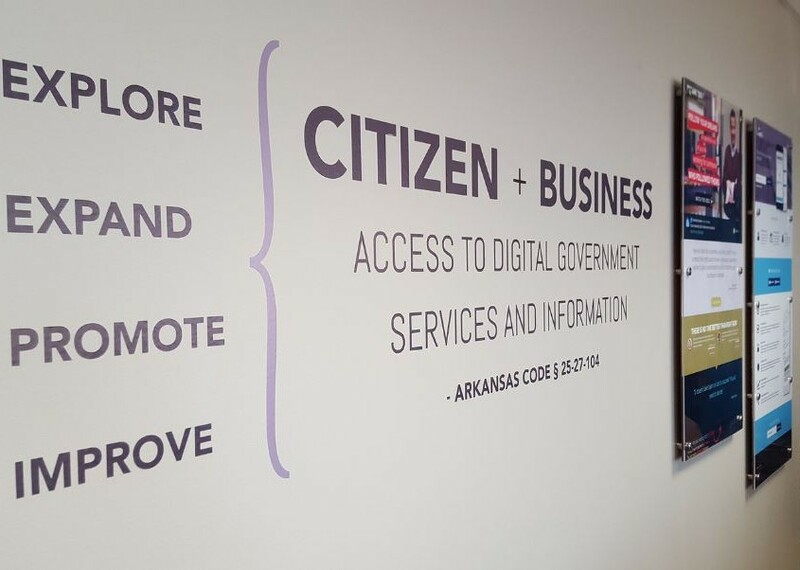 The Information Network of Arkansas Board (INA) was created in 1995 with the statutory responsibility of assisting the state in exploring and improving citizen and business access to public information and online services. The objective of INA is to improve the accessibility of Government through public information or electronic transactions. CustomXM was asked to assist in providing concepts and ideas, and using designs created by INA to create a new energy for the interior walls of their Little Rock offices.